"If we can say, with Wordsworth and Yeats, that poetry succeeds when form and meaning perfectly coalesce, when form is not sacrificed to meaning nor meaning squeezed uncomfortably into pre-set forms, then many of Nicholas Bielby's poems are among the finest being written today. Here are poems of scientific observation and philosophical speculation, of family affection, faith, and human grief. They are often sensitive records of personal experiences and landscapes. Yet each poem is more than its subject, each is a work of art in which the elements of life and language have undergone, like a chemical reaction, a transformation into something rich and strange." "A recurrent motif in Nicholas Bielby's beautifully crafted poetry is the attempt to describe a subject as exactly as possible even as the subject evades description. It is a feeling present in the numerous compelling and touching elegies that dot the book, as well as in his engaging narratives drawn from historical snippets that show us a moment in a life ... In terms of technique it is present in Bielby's masterly use of half or slant rhyme, which communicates as a kind of attentive diffidence, a refusal to pin down too sharply and neatly something that is ultimately tenuous and obscure. The pleasures these poems offer the reader are quiet, subtle, and substantial, and all the more real and lasting for their innate honesty and modesty before their subjects." There is only one fault: incapacity to feed upon light. it lights upon, the sun its hidden source. fire that figures unapproachable day. It is enough for you to know that God is; to want to know what he is will only hinder. breathes into them the power of the word. are nothing but names you have invented yourselves." perhaps, it was enough to have his blessing. "Peniel", saying he'd seen God face to face. "What I am is no business of yours." "Yaweh", translated, simply means "He is." graven, partial, wise or otherwise. there's something nameless does not let me go. "The Naming of Things is a satisfyingly crafted book in which art, nature, belief and death are woven together in a touching narrative of presence and loss. [...] [Nicholas Bielby] poses the big questions: Does God exist? How should we live? How will we be remembered? Yet in his hands these themes are never abstract. They work through a study of personalities, clothed in an exploration of language and the music and lexis of poetic tradition. They examine the possibilities of syntax itself to shape, reveal and embody reality - or falsehood." Kathryn Southworth, Sofia 117 (September 2015): 25. 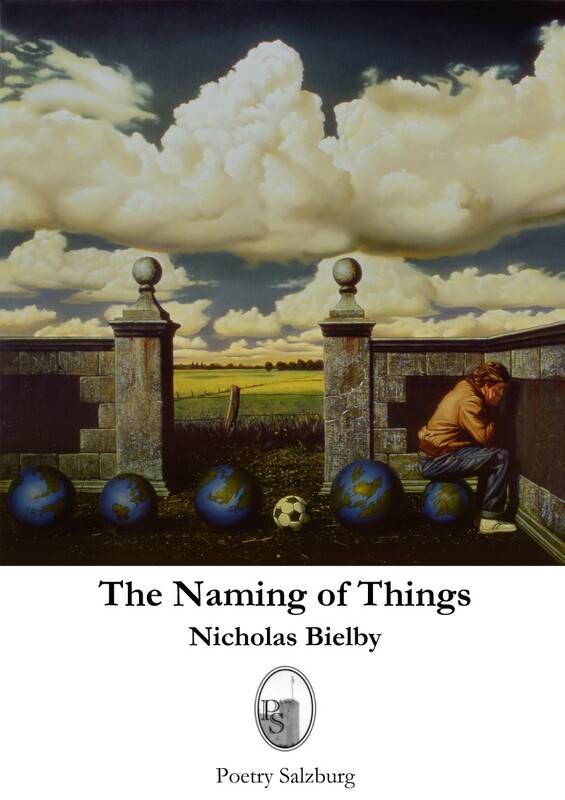 "Nicholas Bielby's collection, The Naming of Things, takes us on a journey of scientific examination and philosophical musings, with poems about a plethora of people, of family, faith and grief. [...] Bielby's work is underpinned with a technical mastery fro rhythm and a concern for the shape and architecture of each poem." Wendy Holborow, "From Myth to Musing", Envoi 172 (February 2016): 65-71; 68-69.